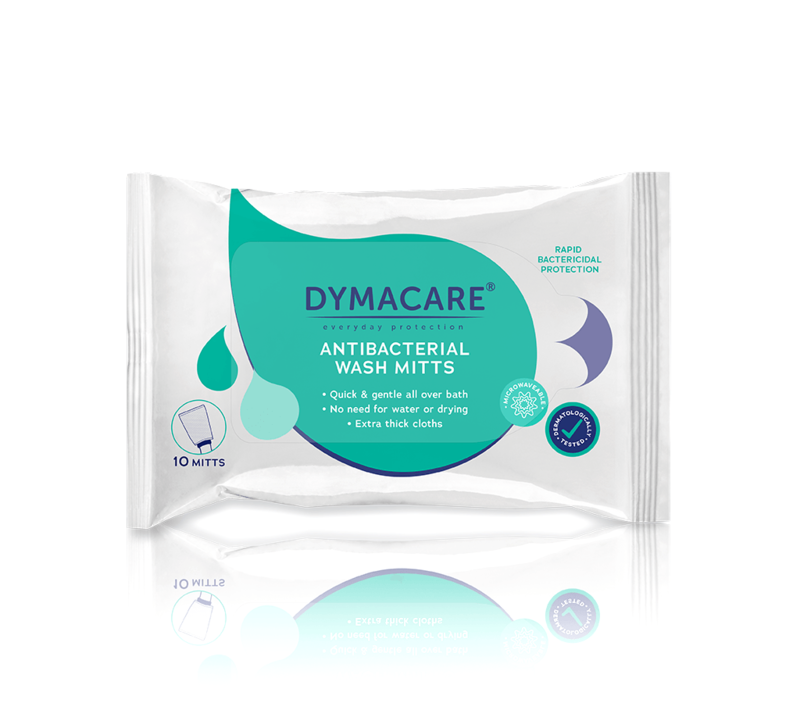 Dymacare Antibacterial Patient bathing range is a high-quality moist wipe/mitt/cap antibacterial bathing system, designed for preoperational and post-operational bathing, bedridden hospital, ICU and care home patients. It allows to perform a full body cleansing without needing tap water and basins, rinsing, and toweling. Designed for a single-patient use, it reduces the risk of cross-contamination. 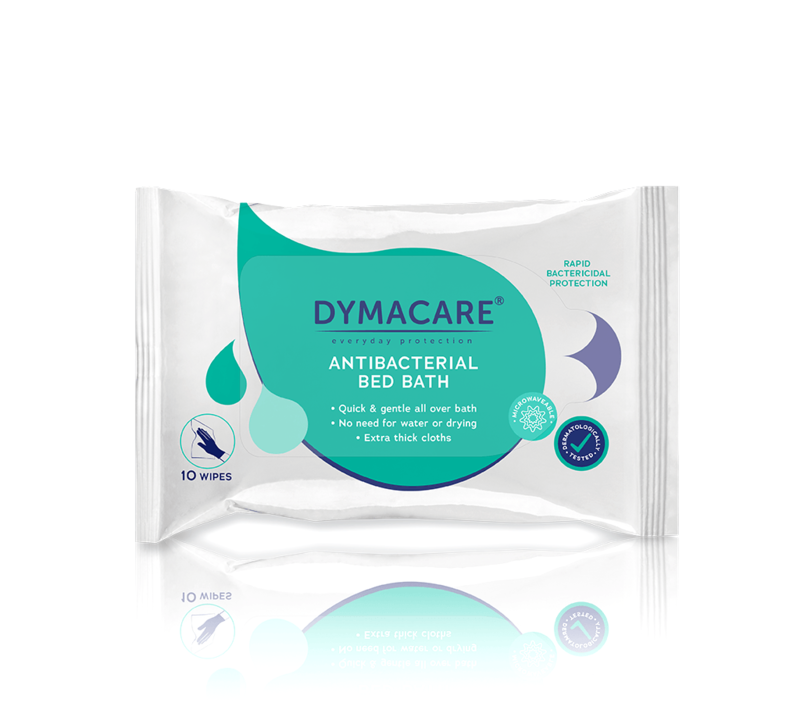 Dymacare Antibacterial Range helps to fight the spread of pathogens and offers residual effect lasting up to 24 hours. 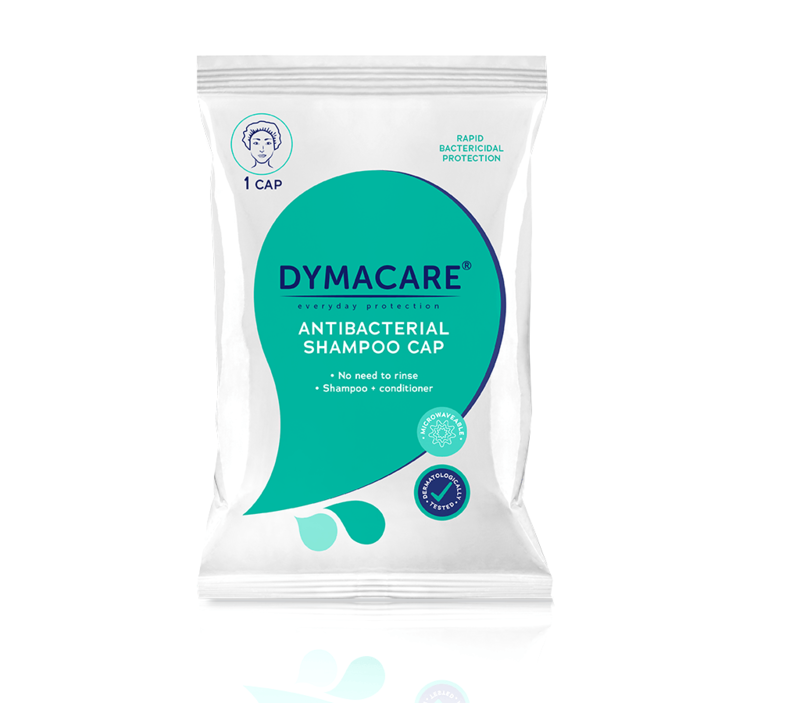 Dymacare Patient Bathing Range is a quick and effective antibacterial bathing method, which can save time, is easy to follow and can reduce bathing costs significantly.